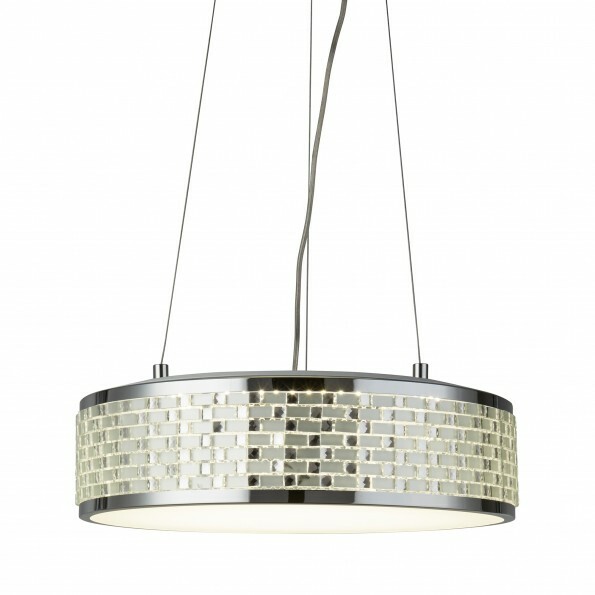 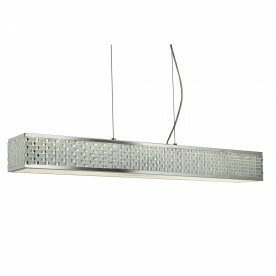 When illuminated, this tile effect ceiling pendant creates a stunning display. 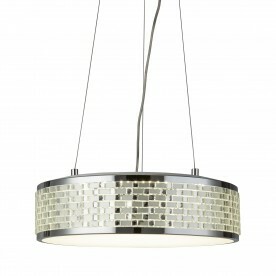 The 8 lights sit within the drum, and are topped with a large diffuser for a softened glow. 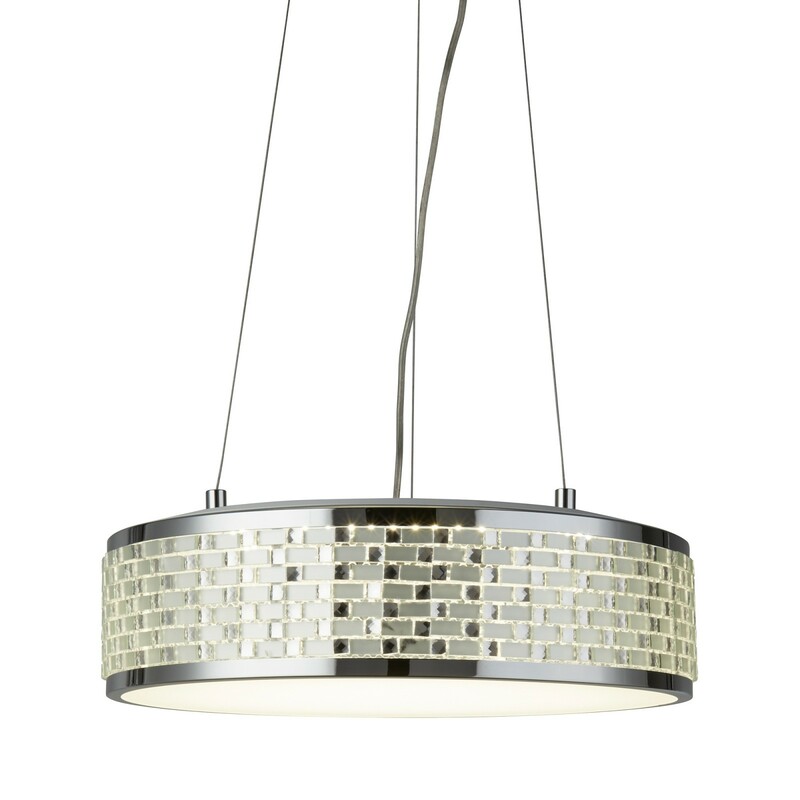 With chrome and a pretty tile effect trim, this item will look great when suspended from your kitchen, dining room or lounge ceiling.